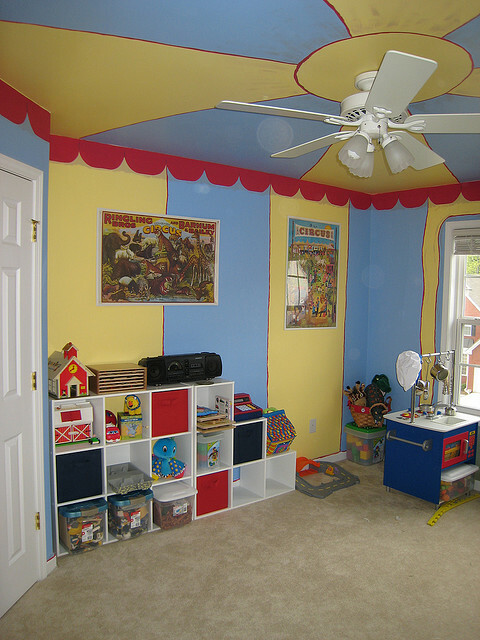 An effective method of incorporating theme into a playroom, is decorating the walls with a mural or trompe l'oeil painting. The idea that this is difficult to achieve just isn't true - it doesn't have to be anything complicated or even require you to be artistic. 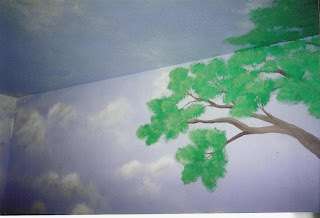 Start with faux painting clouds and sky, for example, and add details from there. The clouds and sky theme can be used for over half of the theme ideas given above, and be made unique with the addition of smaller painted details. Pencil these out before painting and you'll have no problems. If you aren't artistic at all, or just don't possess the time, then playroom decorating ideas don't come any easier than painting the walls in block color, and add theme with the use of pictures or vinyl wall decals. These can be store bought or even made yourself. Continue the theme with the use of toys out on display that fit with the decoration on the walls (racing car toys, cuddly jungle animals, a tiara, etc. ), and use curtains, cushions, bean bags, and floor mats that link with the theme too. If you are feeling especially brave then follow the theme right up to the ceiling, by either incorporating it into the mural, or with the addition of mobiles and hanging toys (space shuttle, butterflies, pterodactyl). The paint you use to cover the playroom walls with should preferably have a subtle sheen, allowing you to wipe off any "artwork" children may create over your paintwork, more easily. Your choice of flooring should be tiled or laminate for the same reason - try getting play dough out of carpet! Wallpaper is not advisable, not just because it's more difficult to replace (as opposed to painting over a serious mark), but because it will get worn, and peel (or get torn) off the walls. 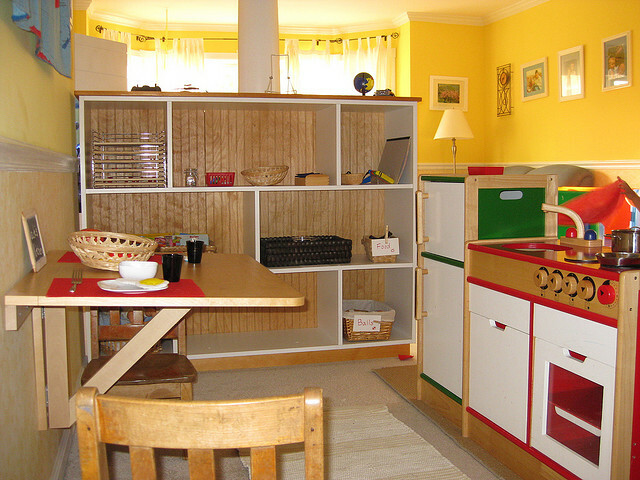 Now you've made the playroom an attractive place to play, you want to make sure it's practical too. Storage not only helps keep the room more tidy, it also allows your children to be more independent by pulling out their own toys, and recognizing pictures or words to know where to put them back again. The best option for playroom storage is boxes that are stacked, but able to be pulled out like drawers. If you can make storage units into seating areas too, then you have a multipurpose area, making the most of the available space. 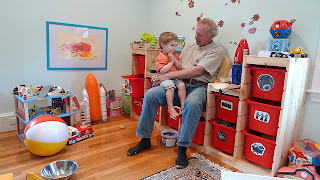 If you have the room, then split the playroom up into sections - tools, cooking, shops, arts & crafts, action games, floor area reserved for cars or jigsaws, and a sitting area for stories. Utilize the playroom space as a children's dining room or snack area. If space is at a premium then install a wall mounted folding table. Use the kids own artwork to decorate the room. Use in whole or in part - use as a mosaic and varnish over a section of wall, or use certain sections to incorporate into the room - dinosaur eggs for example. Using these playroom decorating ideas will ensure that not only do you have a playroom that looks good, it is also organized, practical, and above all else, a fun and safe place for your children to play.